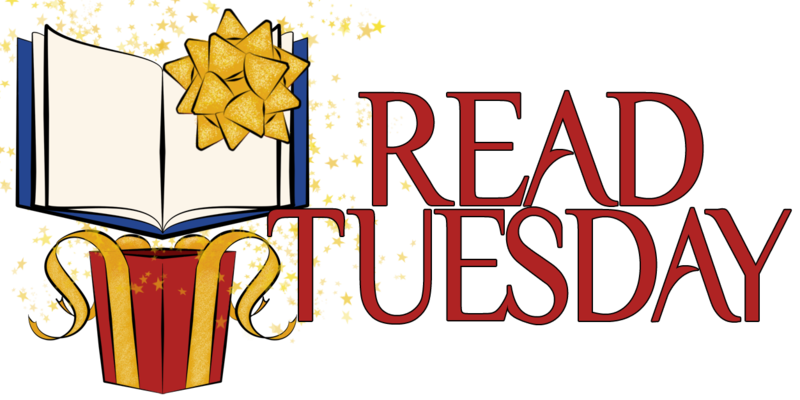 Which Books Are You Looking Forward to on Read Tuesday? Tuesday, December 10 is a very special day: It’s a Black Friday type of event just for book lovers. 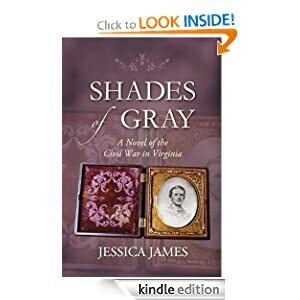 Shades of Gray by Jessica James (185 reviews). A Civil War novel. Maids of Misfortune by M. Louisa Locke (561 reviews). A Victorian San Francisco mystery. The Golden Dice by Elisabeth Storrs (36 reviews). Ancient Rome tale. Camp Follower by Suzanne Adair (28 reviews). American Revolution mystery. Havana Lost by Libby Fischer Hellmann (71 reviews). Cuban Revolution thriller. Red Clay and Roses by S.K. Nicholls (16 reviews). Deep south. Kitsune-Tsuki by Laura VanArendonk Baugh (18 reviews). Japanese historical fantasy. Zo White and the Seven Morphs (49 reviews) by Barbara Silkstone. Comedy mystery. Damaged Girls by Janice Ross (18 reviews). Women’s fiction. The Race by Gina Fava (13 reviews). Thriller. Beginning of a Hero by Charles E. Yallowitz (57 reviews). Sword & sorcery fantasy. Grace Lost by M. Lauryl Lewis (72 reviews). Zombie apocalypse. Happiness as a Second Language by Valerie Alexander (54 reviews). Happiness in a book. Teens Matter Most by Stephanie Lahart (new release). Teen social issues. Chakra Secrets by Becca Chopra (40 reviews). Personal transformation. The Game of Basketball by Kevin Sivils (11 reviews). Sports. A Detailed Guide to Self-Publishing with Amazon by Chris McMullen (24 reviews). Self-publishing. Chase Tinker & the House of Magic by Malia Ann Haberman (34 reviews). Sword & sorcery fantasy. A Tale of Two Towns with Hidden Animals and Camo-Critters by Dee Anderson (9 reviews). Activity book. ShockWaves by Suzanna Williams (10 reviews). Adventure. Roxie the SuperCat Rescues Mice on the Moon by B.A. Anderson (12 reviews). Comic book. Terri Kelley is participating with 37 picture and chapter books. Looking for something more mature? Beautiful Broken Rules by Kimberly Lauren (444 reviews). Contemporary romance. Catskinner’s Book by Misha Burnett (33 reviews). Sci-fi. Finding My Way by Megan Keith (50 reviews). Coming of age, mature content. The Exception to the Rule by Beth Rinyu (44 reviews). Contemporary romance. Falling to Pieces by L.T. Kelly (13 reviews). Romance. There are many other good books participating in Read Tuesday. Which ones are on your list? Read Tuesday is a Black Friday type of event just for book lovers, only the savings will be even more amazing. It’s a great opportunity for book lovers to save big. It’s also timely for holiday gift-giving. Better than Black Friday. You don’t have to wait in line. No fighting traffic. Alarms don’t need to be set for the early morning. Shop in your underwear. Plus, the discounts are deeper. Just four more days to Read Tuesday! A hop, skip, and a jump.